Barrel Porting and Red Site Dots. The work was done by Bob Cogan @ Accurate Plating & Weaponry. 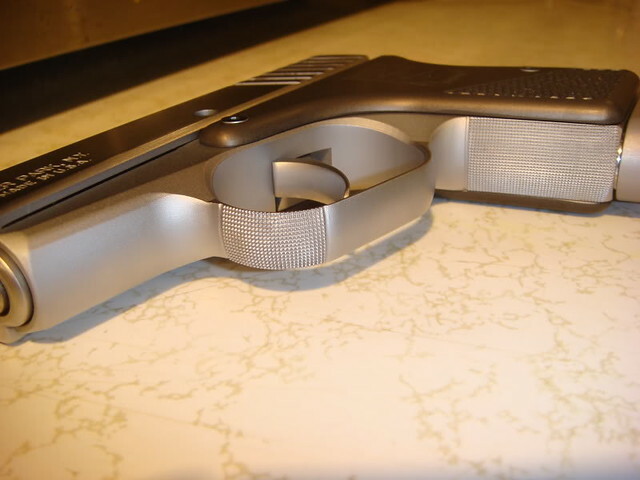 The grips were an older style aluminum with checkering. They are no longer available. I am not sure if Rohrbaugh offered them or Bryce from IDM. Rohrbaugh and Bryce both offered aluminum grips. I think these particular grips were made for Rohrbaugh by AlumaGrips but they have been re-anodized and checkered whereas the original AlumaGrips were smooth. The rest of the mods make sense. reliably installed. I like Night Sights. 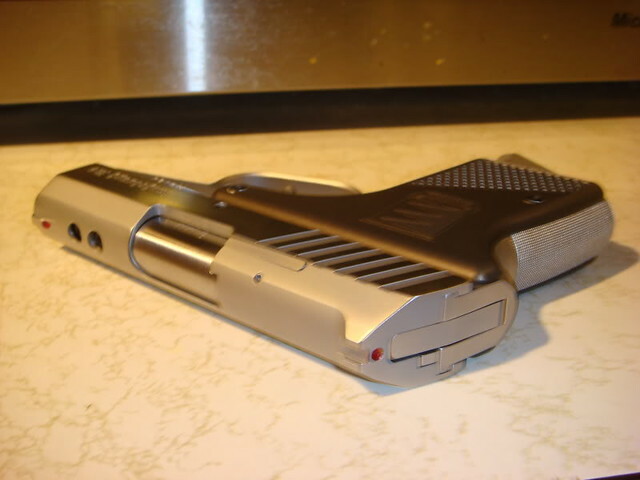 There's a gun almost identical to that for sale on gunbroker. i really like that checkering. 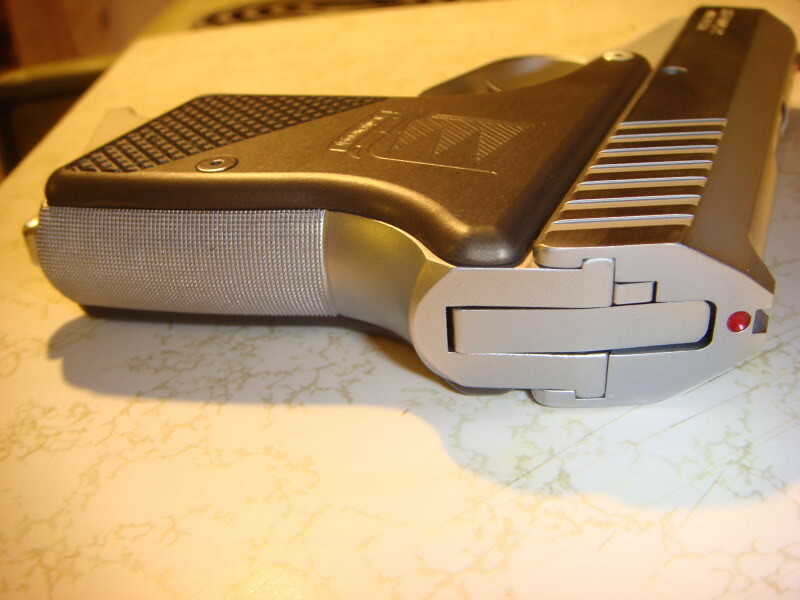 not that bit on the trigger-guard though. Yeah, Doc the trigger gaurd checkering is not for everyone. Since I am old school and and rest my opposing finger there to get higher up and more support, the checkering happens to work for me. That's my gun that Bob did up for me. In regard to the ports, that's how Bob does them and I have to say, they work great! BIG difference in felt recoil and work much better than Mag-Na-Ported guns that I have. Don't know how you'd even go about getting a longer barrel for these guns. Also, I shoot with my support hand finger on the trigger guard and the checkering affords me a little extra grip. The Aluminum grips are only for show. I have VZ blue CF on the gun for everyday carry now. it took and ho much it cost? Thank you "Z" is it necessary to hard Chrome it? of finish if having it (re)finished is necessary. i would just be interested in the porting....did it really reduce recoil? and adding the sights...how much? I would suggest you contact Cogan yourself and let him explain it to you.